In an exceptionally close race, former DNC Chairman and Clinton ally Terry McAuliffe beat Virginia Attorney General Ken Cuccinelli to become the next governor of the state. McAuliffe beat Cuccinelli by just 56,000 votes or 48% to Cuccinelli’s 45.5%. “Libertarian” Rob Sarvis finished with a surprising 6.6% of the vote and may have cost Cuccinelli the election. With such a slim margin of victory and winning a plurality, but not a majority, McAuliffe’s win wasn’t the barometer for 2014 that liberal pundits thought it would be if McAuliffe won. Instead he faces a tough four years with a state legislature dominated by Republicans who will be in no mood to move his agenda forward. Plus Democrats didn’t get the sweep of offices that they had counted on. Sure they won the Lieutenant Governor’s race- which was n’t really close, but closer than I thought it would be given the Republican candidate E.W. Jackson. But they didn’t win the other key slot besides the governorship- Attorney General, which is where the next governor is likely to come from. Would anyone seriously vote for Ralph Northam for governor in 2017? While the Democrats didn’t get the mandate they were looking for the Republicans will need to think about what type of candidate they want to run in four years. Cuccinelli was a Tea Party darling and campaigned to the right, which realistically only plays well in the more rural parts of Virginia, but not in the vote-rich liberal areas in Northern Virginia which was a key part of McAuliffe’s win. 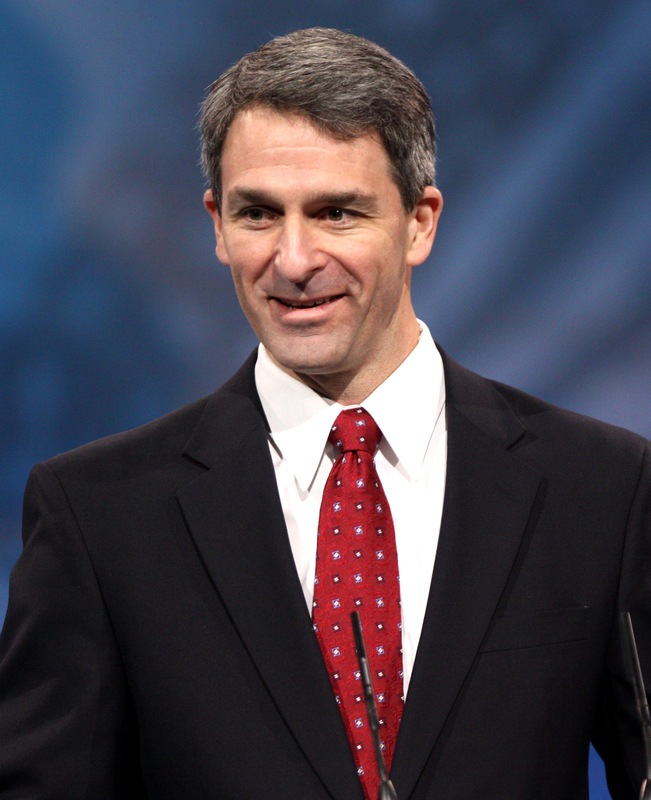 Other problems for Cuccinelli were his lack of charisma, his running mate who is passionate man, but prone to outrageous statements and a lack of money. More importantly he was outspent by $15 million and yet nearly won the election, but he couldn’t afford to run ads in the last two weeks to counter McAuliffe and that definitely hurt him. And it’s very hard to win if you don’t have money. McAuliffe was aided by the Clintons in his fundraising efforts which means they are counting on him to deliver Virginia for Hillary in 2016. The giftgate or whatever you want to call the non-scandal scandal- you can thank the liberal media for this, did deal Cuccinelli a big blow as it removed perhaps his greatest weapon- the popular Republican Governor Bob McDonnell from the campaign. Instead of having the incumbent governor on the campaign trail, providing endorsements and raising money, McDonnell was forced to sit on the sidelines and that hurt. So now for the first time since 1977, the party occupying the White House has also won the governors race, but with such a thin margin of victory that measurement is completely meaningless. Virginia Republicans now have four years to rethink their strategy and hopefully they can find a candidate for governor that can combine conservative principles with a dose of pragmatism so that they can retake the governors mansion in 2017. Web gossip site FishbowlLA praised the announcement that the Jim Henson Company would be severing its ties with fast food chain Chick-Fil-A over its donations to groups that support traditional marriage. Except that’s not exactly how Fishbowl writer Matthew Fleischer put it. Some good news from the Jim Henson Company, which announced late last week that they are severing their business partnership with the notoriously anti-gay, fast food company Chick-Fil-A. Chick-Fil-A had been offering Jim Henson “Creature Shop” toys in its “Kids Meals.” Nice to know the Muppets will no longer be pushing an anti-gay agenda…or cheap, terrible food that makes kids obese. Notorious? 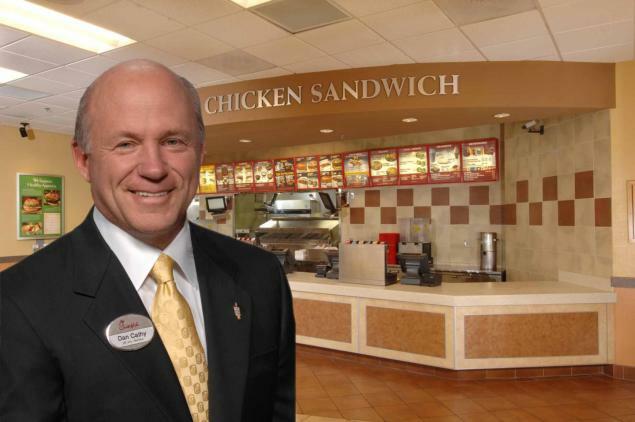 That’s a label pro-gay forces are using in an attempt to smear the chain which is run by noted Christian S. Truett Cathy. What’s Cathy’s sin? Donating money to groups that believe marriage is between one man and one woman. Of course companies that support gay marriage or gay rights aren’t notorious in the eyes of the left, and this is just one more example of the intolerance of the left for any opinion that doesn’t square with their own. Cathy is a well know Christian and his beliefs shouldn’t come as a surprise to his detractors. The chain is famous for closing their stores on Sunday, making it a true day of rest for its employees. The fact that Henson severed its ties should be all that surprising since it is owned by the Walt Disney Co., which is a big supporter of gay rights. It’s more of a surprise as to what took them so long to figure this out. All this seems lost on Fleischer and his pals on the left, but then again no one ever accused them of being rocket scientists. During a discussion on voting rights MSNBC Hardball host Chris Matthews told his guests that older people don’t drive cars therefore laws that require identification for voting would disenfranchise them. Matthews: People in their 80’s don’t drive cars thank God. People in their late 70’s may stop driving. They don’t have driver’s license’s. they don’t deal with the government, they don’t have an i.d. card. Less than a minute later Matthews said that older people don’t drive. Since when? My father drove until he was 81 when a stroke incapacitated him. A few years ago I was a passenger in a car on more than one occasion with a woman who was in her late 80’s on the freeway in Southern California no less. And just last week I was with an 87-year old man driving a car in New Mexico. 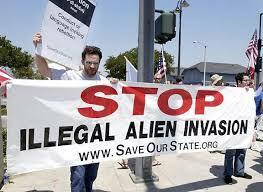 These people aren’t an aberration they are very much the norm in a society that is getting older. And what about Florida? Does Matthews thinks that the retirees living there only take buses and cabs to get around? Liberals like Matthews make it seem that if a person doesn’t drive obtaining a government issued i.d. card to vote would be a great burden when it would probably take less time than getting a driver’s license. This isn’t about disenfranchised voters but about allowing anyone and everyone to vote which benefits the liberal candidates at the expense of those that want fair ad hones elections. No More Chocolate Milk for Little Johnny? The obesity police are at it again and this time their target it’s chocolate milk in school lunches that may face the firing squad all in the name of political correctness. Chocolate milk has the unfortunate distinction of containing far more sugar than white milk and that has anti-fat advocates up in arms as they try to pressure school systems to drop the very popular drink. Flavored milk, mostly chocolate and strawberry represent 70 percent of all milk consumed by schools according to the Milk Processors Education Program and despite the sugar content still remains an important part of students diets. The group says that when flavored milk is removed from the menu consumption drops 35 percent and for many children school is the only place they get any milk. Not everyone is on the ban chocolate milk bandwagon though. The School Nutrition Association, American Academy of Pediatrics, American Dietetic Association, American Heart Association, and National Medical Association, say that the nutritional value of flavored low-fat or skim milk outweighs the harm of added sugar. The added sugar doesn’t diminish the fact that milk contains nine essential nutrients including calcium, vitamin D and protein. In a joint statement from those groups they point to studies that show children who drink fat-free, flavored milk meet more of their nutrient needs and are not heavier than non-milk drinkers. That hasn’t stopped the fat fighters from complaining and calling chocolate milk “soda in drag” by saying that fat-free strawberry flavored milk has the same sugar content as eight ounces of Coca-Cola. That would be more accurate if kids actually drank as much milk as they do soda. If they are so concerned about fighting obesity and reducing sugar then why don’t they just ban students from bringing anything sugary or salty from home? I can see it now. As each student enters school each day they must have their backpacks inspected by a team of nutritionists to make sure no fattening food passes their portal before being allowed to proceed to class. That may sound far-fetched to some but at the rate things are going it could become reality before we know it. As a parent of three children I can still remember the days when my wife and I packed lunches for the kids to take to school. Lucky for us our children are now grown and that we don’t live in Chicago where one public school has decided to ban lunches from home in the name of good nutrition. Principal Elsa Carmona told the Tribune that her intention is protect the students from their own unhealthful food choices. Carmona said she created the policy six years ago after watching students bring “bottles of soda and flaming hot chips” on field trips for their lunch. Although she would not name any other schools that employ such practices, she said it was fairly common. Excellent food choices in a school cafeteria? Did they suddenly hire a 5 Star Chef to run the kitchen? I realize that much has changed since the time when I was a child and was subjected to endless trays of salisbury steak, meatloaf, hamburgers and hot dogs that barely passed as edible but for 30 cents or so was certainly cheap enough but for Carmona to call the food excellent has got to be a stretch. As an good cook knows it is very difficult to serve quality food for an army of children no matter how they try. Think of hotel banquet food. And where does Carmona get off on deciding what is unhealthy? What does she eat for lunch? I doubt that she eats the cafeteria food every day. If she is so concerned about unhealthy eating choices then she should ban the staff from bringing their lunches from home as well. If the cafeteria food is good enough for her students then it should be good enough for her staff. Then we can see just how excellent the food really is. Longtime “60 Minutes” correspondent is a member of the old boys network and wants the Century Asoociation in Manhattan to resist efforts to sever ties with the all-male Garricks in London. What will be next? Disassociation with clubs that do not cater to vegans on their menus? Kosher dining rooms? Special facilities for nudists and transsexuals? Abolition of ‘Centurion’ to describe our members, given that the term is, according to the OED, derived from the all-male Roman army? Safer’s comments may be a little far fetched to some but even he realized that once you crack open the door the floodgates are then opened any idea no matter how crazy could become a reality. When contacted by the Times Safer didn’t deny that he had written the e-mails but regretted that they had become public. You don’t day? Safer is definitely naive when it comes to thinking that his e-mails wuld remain private but at least he had the courage to take a stand against a ludicrious policy.